We formed Tempo Musical Productions in 1990 and as Executive Producers we are responsible for the conception and instigation of each project and the coordination and presentation of the final production, always striving for the best possible theatrical experience. 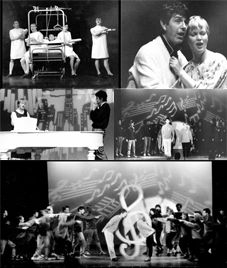 Since 1991 we have produced a wide variety of successful shows, ranging from old favourites to modern musicals - all of which established Tempo as a leading force in Scotland's musical calendar. We have also performed in the Edinburgh Festival Fringe on many occasions and were winners of the inaugural Edinburgh Evening News Drama Award. 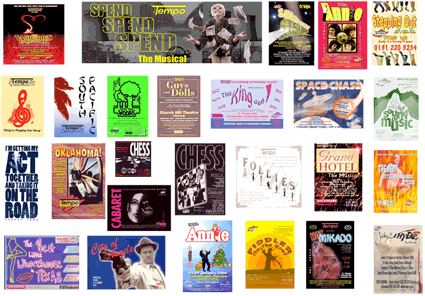 Tempo Musical Productions is a registered charity, performing to capacity audiences and achieving the highest levels in community theatre and performance. We have always taken a professional approach to amateur theatre, from first audition workshops through intensive rehearsal to the finished performance, incorporating creative technical design of the highest standards. Within this professional approach we also involve young people at every stage, and actively train, encourage and promote their interest in all aspects of theatre. This is achieved under the supervision and support of our talented teams of dedicated and experienced cast, crew, musicians, directors, technicians and designers. 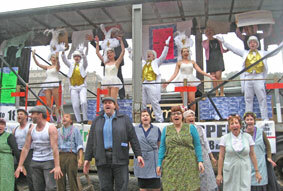 Past productions have involved around one hundred members in the Company. As a registered charity (SC000244) we are non-profit making and have donated proceeds and collected on behalf of various local charities, such as the British Heart Foundation, Dr. Barnardo's, The Woodland Trust and The Sick Kid's Foundation.